Greta Oto, her scientific name. 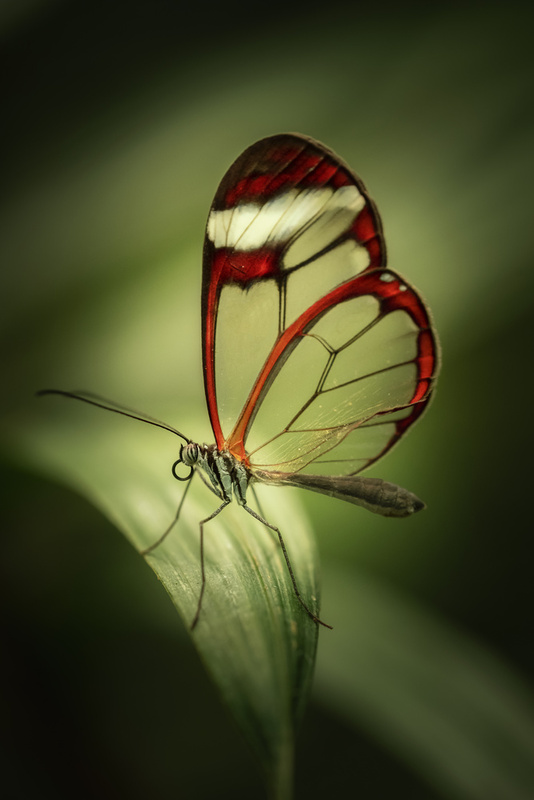 She has many unique qualities, the most amazing being its transparent wing panels, which do not reflect nor absorb light. Light passes through the transparent panels and is reflected off the background material, back to the eye. Isn´t it amazing? Wow Aritz! This looks insane! great macro shot buddy! So great capture of the insect! Happy to see you appreciated that ;) Thanks!